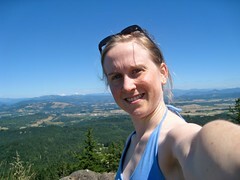 Before I hiked to the top of Spencer's Butte, I almost wimped out. I read a blog to find how to get there just in case my GPS didn't know where it was located. I did find out the location, but I also found out there were...rattle snacks, poison oak, dead trees, and car theft. Eck! I imagined myself bitten and itchy with a tree on top of me. I started to worry about this park. Should I actually go on this hike? But the blog also said, "If you live in Eugene and have never hiked the Butte..well, I'm sorry but I'm a little disgusted with you." Oh no, I'm disgusting someone! I can't do that. Plus I've heard others talk about this butte. I must find out. My courage won and off I went. I had my trusty Teva sandals on - the same ones that took me all over Italy back in college days. Once I arrived, I felt reassured with seeing people and even a dad and younger son. A little kid can do this hike, so I should too. On that cue, I took a peek at the map and was ready to go. 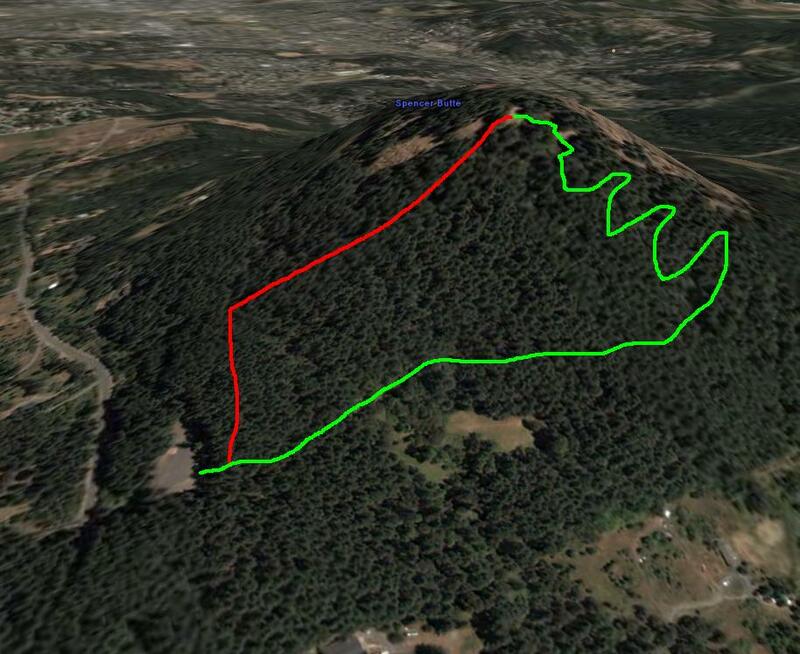 The plan was to go the long way up and the shorter route back (see the green and red lines on the blogger's map). That'd didn't quite happen. I ended up taking the long way there, and the long way back. After I got to the top, I tried to find the short trail back with no luck. I asked a friend later the next day, and apparently you don't really do the short way back because it's too steep! It was a pleasant hike. The final ascent was a bit scary with large rocks. Actually, I take that back, the rocks were scarier to walk down than up. I kept sliding on the way down (no falls though, no bruises either). The weather was perfect. At the top, there was a cool breeze and beautiful, clear skies. I sat up there and watched the butterflies, took some photos (of course! ), and just enjoyed nature. As I was up there, I saw Oregon's beauty. I guess all that rain paid off. It's really quite breath taking here. 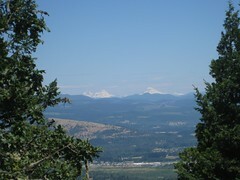 The sea of trees and green, the mountains in the distance, the tweeting birds. I would definitely recommend this hike. And the lady blogger was right - I'd be ashamed not to have visited this place before I left!